Mulberry Leaf Extract by New Nordic Help Balance Blood Sugar! As many know, diabetes and blood sugar issues run rampant these days in our society. While more and more people know that simple carbohydrates and sugars increase sugar spikes, we continue with our bad habits because it is just easier. Let’s face it, it is very difficult to change the way we think and live. It is hard to change because we are good at lying to ourselves, it is just easier to grab what is conveniently packaged such as a chocolate bar, and sometimes we are not aware that our choices are not good for our health such as a blueberry muffin. Many people think that muffins with fruit in them must be healthy, but most of the time they are actually filled with sugars and an empty 400 calories that will leave you hungry for more in a hour. 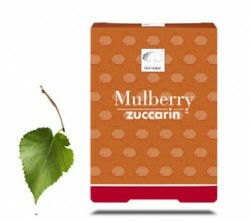 Not to worry, if you have struggled with blood sugar highs and lows, feeling tired, and weight gain, there is a fabulous product called by New Nordic that contains Japanese Mulberry Zuccarin; it is completely safe and natural. Mulberry will help you to make the right choices when grabbing a bite to eat. When your blood sugar doesn’t crash, your body will not crave something sweet in order to get a quick fix. When a person has a stable blood sugar, they are not irritable, and they can wait 10 minutes to make themselves a balanced, yet simple healthy snack, or meal. It sounds crazy but many doctors and naturopaths actually refer to many people as addicted to sugar! If this sounds like you, it is time to try Mulberry Leaf Extract by New Nordic. It is safe to take if you are taking other medications/prescriptions. Not only have we had wonderful success stories by our customers at Alive Health Centre, Supplements Plus and Morning Sun, there is a wonderful true story behind Mulberry. In a small town of Alesund in Norway (this is where this product if from), many of its residents began eating a common plant that made over 1500 people loose weight! It all began in 2006 when a customer asked Johnny Petterson, (a local health food store owner), for some advice on how to eliminate sugar cravings. Johnny gave his customer Mulberry Leaf extract tablets and he explained to the customer that mulberry leaves lower insulin secretion, which makes you able to burn stored fat. The customer had great success and got the whole town talking and sharing the same success! Alive Health Centre, Supplements Plus and Morning Sun have been carrying this product for years. It has been wonderful for many of our customers and I thought it was time to show more people how good it is. If you are diabetic, or have high blood sugar and you want to prevent yourself or someone else from become Type II diabetic, its not too late to get help. As always, thanks for reading and we look forward to seeing you soon at the location near you.